Skin’s always exposed to all kinds of external hazards and torments. From acne and wrinkles to sunburn and scars, the list of skin conditions never seems to come to an end. However, the technology has surpassed the list and has come up with laser option. With a great number of well-versed doctors, we are ready to help you get the best laser treatment in Iran at the best price. If you're considering Iran for getting your cosmetic laser treatment done in, here is all you should know before hitting the road. What does cosmetic laser treatment refer to? One highly efficient innovation in the field of skin care treatment is laser treatment: magical ray beams that have a lot to offer. Through penetrating the skin, lasers work their magic. Compared to older, more traditional methods which used surgical knives and blades, cosmetic laser therapy, as a non-invasive method seems like a big relief to devotees of skin care procedures; a procedure that rejuvenates dried, withered, sunburnt, and freckled skin. Any skin condition can be treated by the laser magic in a blink of an eye! 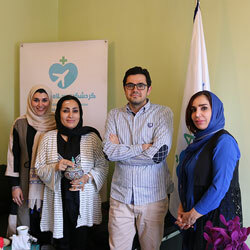 Why choose Iran to get laser treatment? If you could get your laser treatment and spend a couple of days at one of the best tourism destinations at a very affordable price, what would you do? By this, we're not trying to persuade you, it's what our patients refer to when they are talking about their medical trip to Iran. 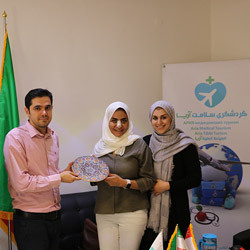 With numerous well-equipped dermatology clinics and private offices in Iran, experienced doctors, and exotic tourist attractions, Iran offers all-inclusive packages of non-surgical cosmetic procedures with the highest quality possible. 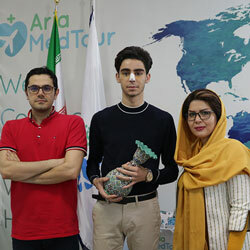 Furthermore, as laser treatments are highly in demand in Iran, multiple chances of having such treatments at very affordable prices are at your fingertips. That is to say, while the cost of average laser treatment in the United States stands at about $2,500, it costs 3-6 times lower in Iran. When is laser treatment needed? Skin can easily be affected by any factor like genetics, trauma, sunburn, or disease. Aside from the external causes contributing to skin abnormalities, age is another factor which affects the quality of people’s skin. Aging brings dark circles, sagging skin, and wrinkles, making people seek skin solutions. As mentioned earlier, the laser can be used for different cosmetic purposes, from removing unwanted hair to eliminating the wrinkles. Accordingly, here we provide you with different types of laser procedures applicable to each specific condition. If wrinkles, scars, sun exposure, aging or other causes have affected the quality and color of your skin, laser skin resurfacing may be your solution. This procedure, also called laser peel, uses a light beam to address various skin issues. These issues include, but not limited to, wrinkles, frown lines, stretch marks, sunburns, dark circles, blemishes, and scars. This treatment can give you a tighter and more youthful skin appearance. It can also be combined with other cosmetic procedures to improve your appearance. If you want to get your skin resurfacing done in Iran, you'd be saving some money as the cost is lower than in many countries. This procedure costs from around $400 – $700 per area. Laser hair removal is a cosmetic procedure which uses a laser beam to damage the hair follicle. The beam of concentrated light passes through the skin and gets absorbed by the pigment in the follicle, significantly slowing future hair growth or completely preventing it. This treatment can be repeated if the hair grows again. This procedure is more effective for people with light skin and dark hair. The most common parts of the body treated by laser hair removal include the back, chest, shoulders, neck, and face, mostly the upper lip and chin. 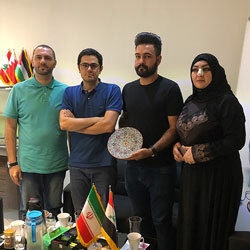 Laser hair removal costs from $200 – $350 in Iran. This includes all the related fees like doctor's visit and the like. This is how a laser hair removal procedure goes on in Iran. When the skin is trying to heal the wounds caused by acne, the excess of collagen in the dermis may remain permanently, which creates acne scars. It is important to treat this condition to restore your appearance and self-confidence. 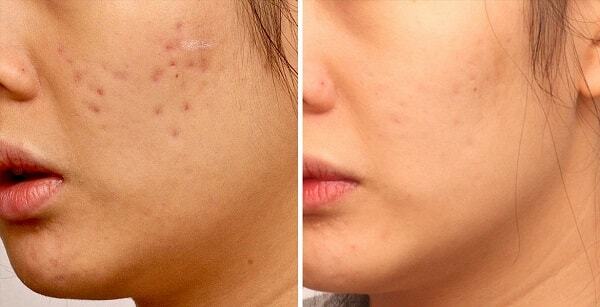 There are various methods to treat acne scars. Some of the non-surgical treatments include skin peels, microdermabrasion and laser skin resurfacing. The appropriate treatment depends on the acne scar type. If you're going to get your acne scar removal done in Iran, you shall expect to pay from $300 – $700 per area. This includes all the related fees like doctor's visit and the like. Cosmetic light-based devices are used to correct a wide range of cosmetic concerns and also to treat various pigmentary disorders. Although they differ from laser therapy but have many things in common. These devices can precisely aim the pigmented lesion, causing minimal damage to the surrounding tissues. They have many applications such as smoothing frown lines, softening upper and lower eyelid skin, eliminating fine lines on the face, reducing skin redness and hair removal. What distinguishes the various types of lasers are a few factors, namely its wavelength and mode of delivery. Based on the said criteria, the two broad categories are ablative lasers and non-ablative ones. As a traditional method that was first established in the 1960s, it has both benefits and drawbacks. In terms of shortcomings, it can be said that this first subcategory is not suitable for darker skin tones. Moreover, recovery time can be extended to a period longer than expected by such treatments and it risks such side effects as pain, itching, burning sensation, skin redness, and scarring. On the other hand, the said procedure benefits from some advantages as follows: it is ideal to treat skin cancer, acne scars, birthmarks, deep wrinkles, moles, saggy skin, sun damage and corns on feet, among other issues. This second subcategory of ablative lasers is the ideal treatment for surface level and moderately deep lines and wrinkles on certain areas of the body: hands, face, chest or neck. The winning card for YAG is the fact that it takes considerably less time to heal compared to the other methods and yields fewer side effects. Common side effects might range from redness to swelling and bruising which may last for a couple of weeks. It is mainly used to treat pigmentation problems, acne scars, fine lines, sun damage and small to moderate wrinkles. Through targeting the blood vessels and shrinking them, this kind of treatment reduces the redness of the skin. This particular procedure usually requires 3 to 5 sessions to yield proper results which are, more often than not, permanent. This method works best with varicose veins, birthmarks, stretch marks, and fine lines around the eyes. This may surprise you that this method of laser therapy works through destroying the specific target area by employing a process called Photothermolysis. In this process, high energy wavelengths are converted into heat which damages a specific area; however, the surrounding area will be left unscathed. Experiencing pain during treatment is a common complaint. In addition, redness, itching, and swelling are among other prevalent side effects. Birthmarks, brown spots as a result of sun damage and pigmentation are ideal candidates for this sort of treatment. See the results of laser skin treatment on our patient's face! Laser therapy benefits: what does laser do on skin? By gently and accurately vaporizing or ablating the skin tissues, laser beams attempt to treat various issues such as wrinkles, scars, and blemishes. IPL (which stands for Intense Pulsed Light) is utilized to treat blood vessels and pigmentation. In this particular treatment, layers of skin are removed one after another with the use of short beams of light directed at specific parts of the skin. A number of skin abnormalities and ailments are treatable through laser therapy and the individual suffering from these can undergo laser treatment, assured that almost-perfect result will be achieved from modern-day technologies. As non-invasive methods, the results they yield are quite notable and have attracted the attention of quite a lot of people over the past several years. Aside from tangible physical achievements, psychological merits gained by this type of treatment, unparalleled with any other modality of treatment, should not be overlooked. 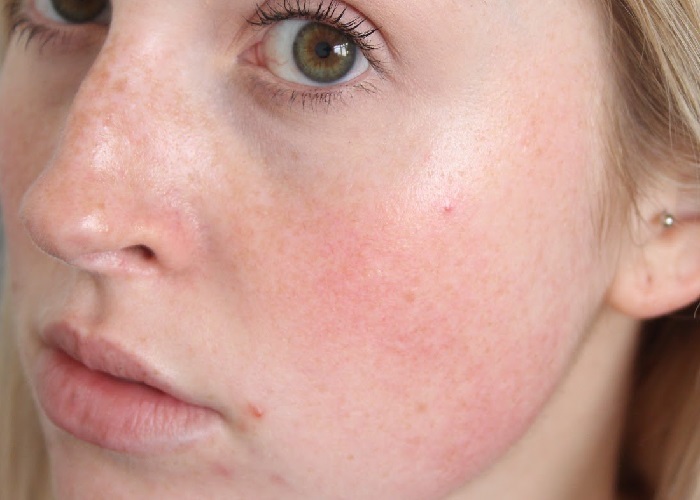 Rosacea is a facial skin condition which appears in people aged around 30 to 50. In this abnormality, some areas around the nose, chin, eyes, ears, or chest become red and thick. Dilated blood vessels also appear and make your skin seem irritated. Although rosacea cannot be completely cured, its symptoms can be reduced through various treatment plans. Cosmetic laser therapy is one of the procedures that may be recommended by your doctor. This procedure can help smooth your skin and wipe away or discolor the blood vessels and redness you've got due to this skin condition. As the procedure is a non-invasive and non-surgical, you shouldn’t worry about the time after you get through it. During the procedure, however, patients report that they feel mild to moderate pain which can be tolerated by many. Plus, after the first few minutes, your skin gets used to the pain and you’ll feel less pain and discomfort until the end of treatment. Does laser treatment bring complications? Laser treatment is an effective alternative for drugs or surgeries. However, patients shall be aware of the complications, though rare, that may arise. For laser treatment, there is itching, skin burns, scarring, hyperpigmentation, and infection. These complications are rarely observed and can be prevented by choosing the right doctor. Does laser treat toenail fungus? Toenail fungus or Onychomycosis is a kind of infection which causes the nails to become thicker. The skin beneath the nail turns to yellow, white or brown as the debris increases. This condition can be treated with laser therapy. However, the research on this type of laser applications is not sufficient.